July 11, 2018 (Bay Area Reporter)—California Governor Jerry Brown has named the first known LGBT judge to the Sonoma County Superior Court. 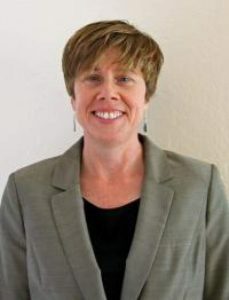 Barbara Phelan, 57, a lesbian attorney who lives in Glen Ellen, was appointed by Brown in late June to fill a vacancy on the North Bay court. She is expected to take her oath of office sometime in early August. “I have always believed the judiciary is very important in peoples’ lives and can impact people directly, sometimes gravely. I always wanted to be a part of the process to bring greater justice into the world,” Phelan told the Bay Area Reporter in a recent phone interview. Since the state court system began collecting sexual orientation and gender identity data on California’s judges seven years ago, there has never been a self-identified LGBT judge on the Sonoma County bench. Phelan, who has served as a judicial staff attorney at the First District Court of Appeal since 2003, was among 10 Superior Court judges appointed by Brown on June 27. “I think diversity in all of its forms is important to the judiciary, that includes sexual orientation but also, of course, race, gender, and natural origin. A diverse bench is a more intelligent and fairer bench,” she said. Her appointment, and that of gay lawyer Gary Roberts last month to the Los Angeles Superior Court, brings the number of LGBT jurists serving on the state’s appellate and trial courts to at least 59. The number marks a record for the state’s bench and a slight increase from the 53 LGBT judges listed in the demographic judicial data for 2017. Five years ago, Phelan first applied for a judicial appointment with the governor’s office and went through the vetting process. She then watched as others were named to vacant seats on the Sonoma court and resigned herself that her opportunity may not come. But after being contacted again by the governor’s office earlier this year, Phelan said she suspected an appointment was imminent. The call informing her she would become a judge came June 25, the Monday after the annual Pride celebration in San Francisco. She needs to delay her swearing-in ceremony in order to wrap up her work with the state appellate court and attend to several personal matters. Foremost, she and her wife, the writer Janet Niehoff, who uses the pen name Jet Eliot, are still in the process of repairing the damage their home sustained during last fall’s wildfires that devastated the North Bay. While not totally destroyed by the Nuns Fire in October, the couple’s house was severely damaged. They have been living in rentals around the Bay Area for the last 10 months and are preparing to move again at the end of July. “Repairs are underway at my place, and we hope to be able to return home in the fall,” said Phelan, who has been with Niehoff for 30 years and married since 2008. Born and raised in Philadelphia, Phelan moved to the Golden State as a teenager and graduated from UCLA. She then earned a Juris Doctor degree from UC Hastings College of the Law in San Francisco and went to work for the law firm Pillsbury, Winthrop, Shaw, Pittman LLP as an associate from 1987 to 1991. She then worked for First District Court of Appeal until 2001, when she was hired as an associate at Lanahan and Reilley. But two years later she returned to work for the state appellate court. She fills the vacancy created by the retirement of Judge Raima H. Ballinger.